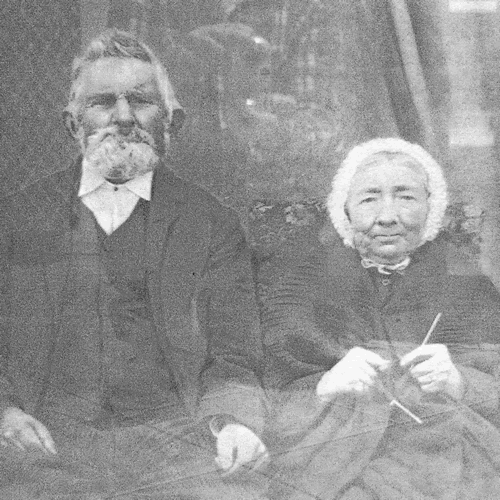 Image thought to be Thomas and Louisa Matthews. This image was hung in Nana (Alice) Matthews home at 31 Wright Street Edwardstown and is now in the possession of Peter Cameron. 1841 Cornwall Census showing Thomas about 15 years apprentice shoe maker. 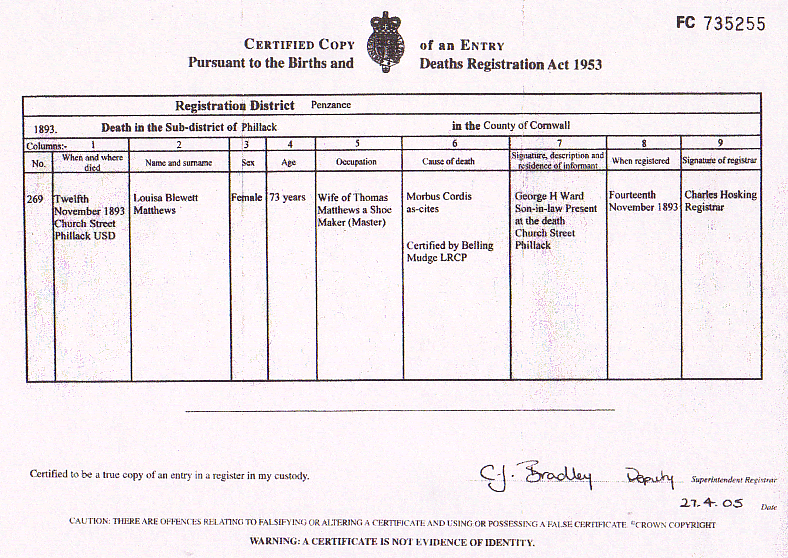 Death of Louisa Blewett Matthews 12/11/1893 at Church Street Phillack Penzance Cornwall. 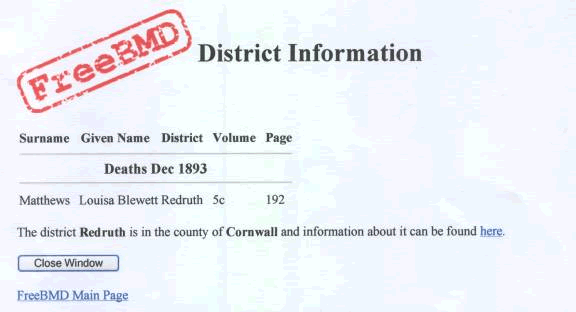 Thomas remarried on 8 August 1853 a Louisa Blewett Carter at St Gluvius Church, Penryn and on 7 July 1855 gave birth to twins Caroline and George Henry Matthews. 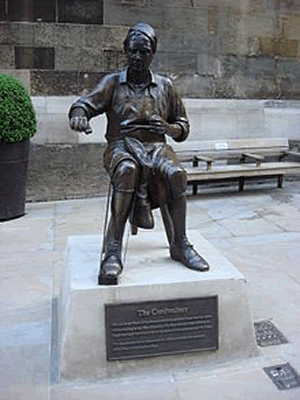 Caroline only lived a few months as often happened in those days and George Henry Matthews immigrated to Australia 1880 on the Cosco. George Henry Matthews and Margarita Matthews. The year is now 1871 and Thomas Matthews is a shoemaker from Penzance now living at Phillack with his wife Louisa Blewett Carter. 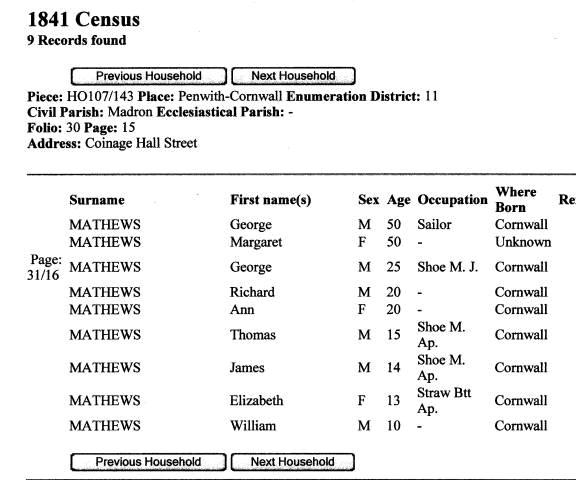 In those days records were hand written and it was up to the transcribers how to spell some names so it was not uncommon to see Matthews spelt as Mathews. 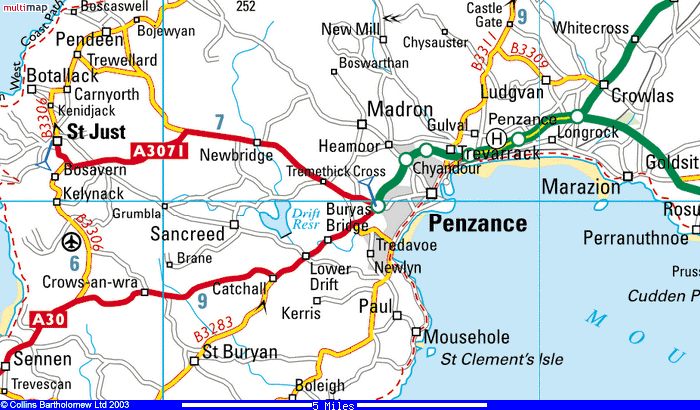 Louisa was christened on 30 January 1818 at St Gluvias Church, Penryn Cornwall that makes her 53. 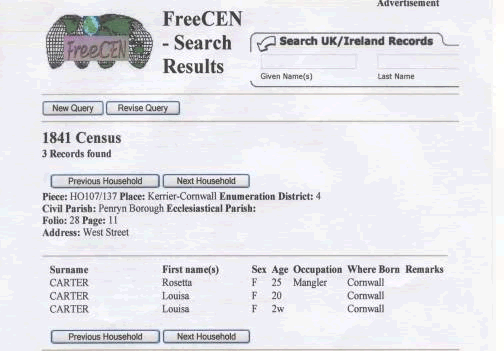 See also the 1891 Census where she is more correctly shown as 72 years where as Thomas is shown as only 68. 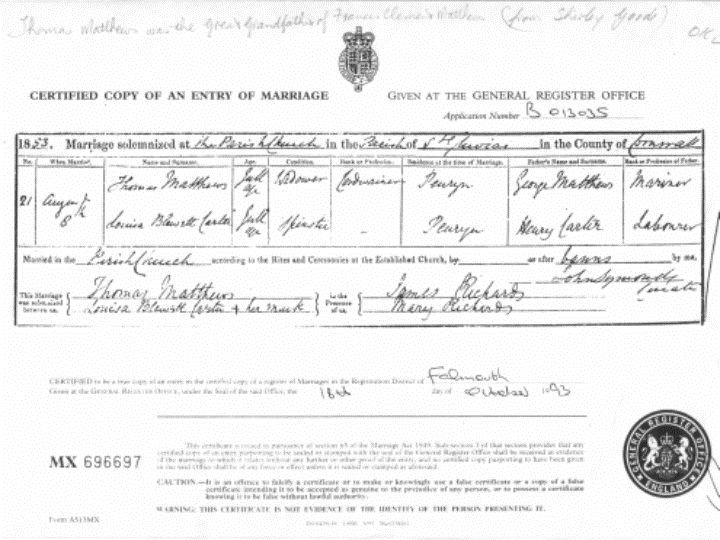 Thomas married Mary Ann Youlton 19 September 1847 and had a daughter Margarita Matthews on 19 January 1850. 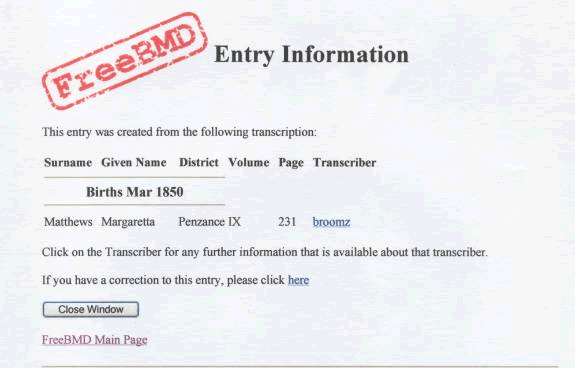 Birth Registration of Margarita Matthews in the March 1850 Quarter. 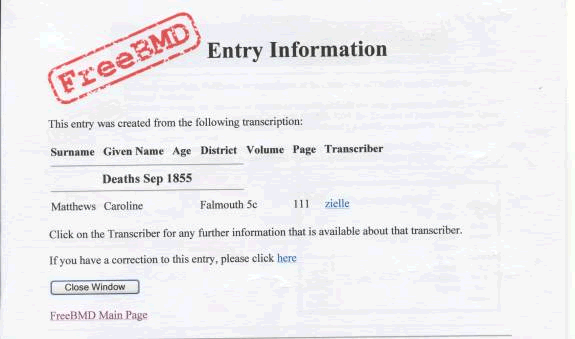 Death registration of Caroline Matthews September 1855 Quarter. 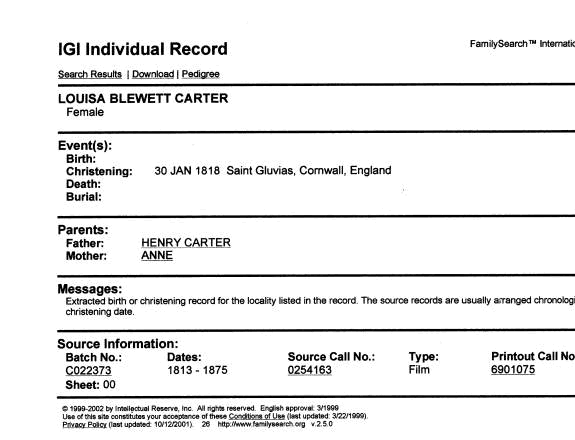 Birth of Louisa Blewett Carter. 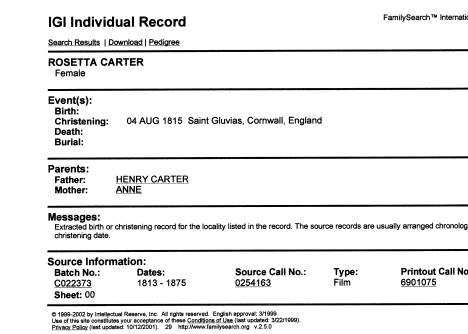 Parents Henry Carter and Ann. 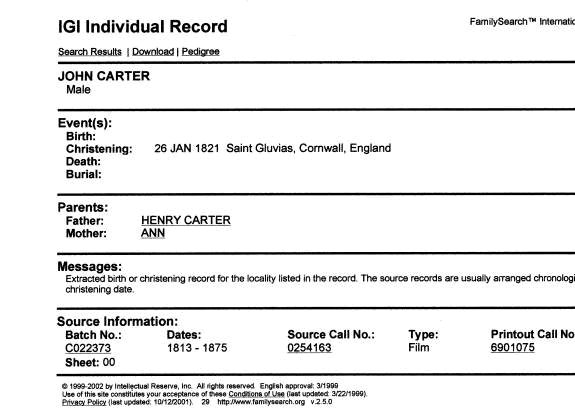 I have found reference to a Louisa Blewett Carter in the 1841 Census with her sister Rosetta Carter (a Laundry Mangler) where there was a daughter Louisa two weeks old. I do not know what became of her or which one was the mother. I also found a brother John Carter. 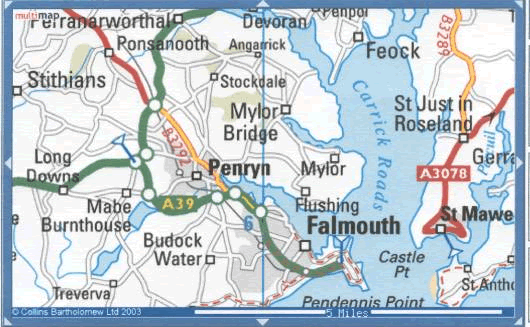 All three Louisa, Rosetta and John were christened at St Gluvius Church, Penryn. 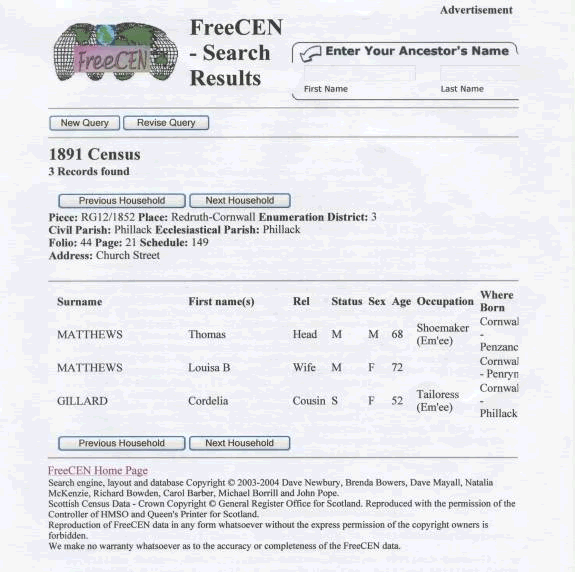 It may be interesting to check the Church records for St Gluvius to see if this baby Louisa was christened there also. Remember Thomas and Louisa also married at the same Church. A mangler is a worker in a laundry and refers to the giant rollers. 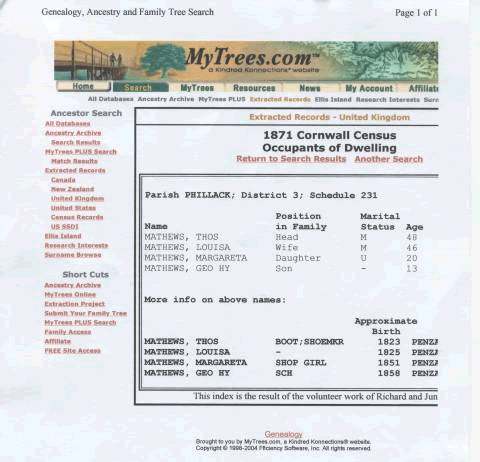 1841 Cornwall Census showing sisters Rosetta and Louisa with a 2 week old baby. 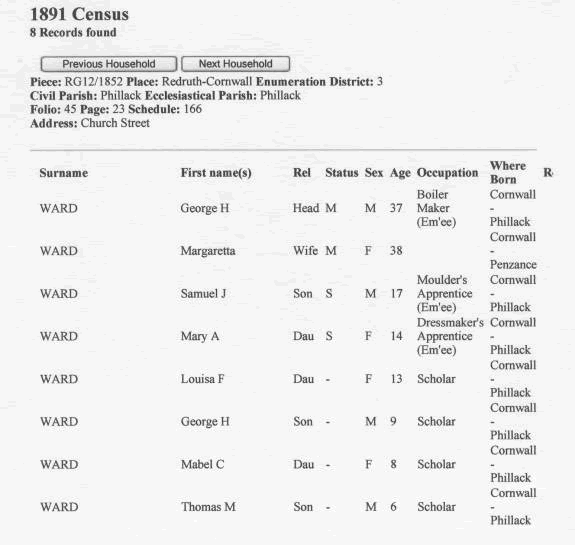 1891 Cornwall Census of the Ward Family. George Henry Ward married Maegaretta Mathews. 1891 Cornwall Census showing Thomas and Louisa with cousin Cordelia GILLARD. 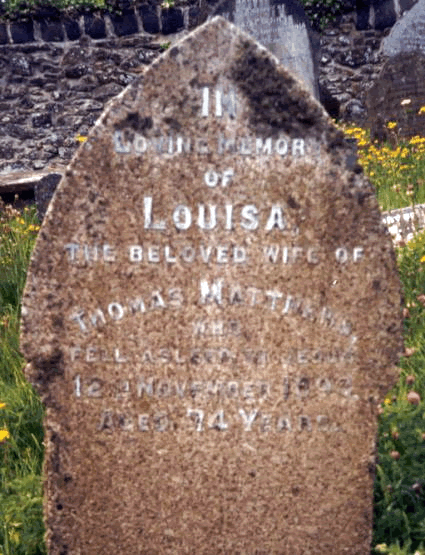 Headstone in memory of Louisa wife of Thomas Matthews. Page Authority 15/100 - Moz Ranking 3.24 /10 - Domain Authority 20/100 on 09/12/2013. View Live W3C HTML 4.01 Transitional Validation Certificate. Google PageSpeed Test - Desktop 98% - Mobile 92%.